Amerton 3 2013 steam gala. Amerton 4 2015 diesel gala. AMERTON 5 STEAM GALA 2017. Ashton Packet Boat Co .
Baie De Somme 2018 . DE KUSTTRAM 2014 / 18 . Echills wood rly ,Standard gauge weekend . Erewash Valley Model Engineering Society . Evergreens miniatur rly last ever open day at Stickney . Eynsford Light Railway [NGRS visit ]. HARZ DAY 1 EISFELDER TALMUHLE TO DREI ANNEN HOHNE. Industrial systems past & present . ISLE OF MAN SCRAPBOOK . NORTH BAY RAILWAY SCARBOROUGH . PIT TUB & WAGON'S . RAVENSPRINGS PARK " THE GATHERING "
RIPON & DISTRICT LIGHT RLY. Saltburn Tramway & Miniature Rly . STICHTING INDUSTRIEL SMALSPOOR ERICA . Telford steam railway & Phoenix M.E.S. Wells Harbour &plus; Wells & Walsingham railways . Views from the past scrapbook. Closed narrow gauge British tramways 1 A to C.
Closed narrow gauge British tramways 2 D to L.
Closed narrow gauge British tramways 3 M to R.
Closed narrow gauge British tramways 4 S to Y.
Hello and welcome to "narrow gauge & ON30". Bonjour et bienvenue "à voie étroite et ON30". Hallo und herzlich willkommen auf "Schmalspur & On30". Hallo en welkom op "smalspoor & On30". 29 PHOTO'S ADDED TO THE KIRKLEES LIGHT RLY PAGE . A NEW PAGE ADDED FOR THE RAVENGLASS & ESKDALE RLY WITH 249 PHOTO'S . A new page added for the 2018 Alan Keef open day with 153 photo's . 83 photo's added to the Lea Bailey light rly page . A new page added for the Big Pit museum with 109 photo's . ​A new page added for R.T.M. Holland 2018 with 173 photo's . ​A new page added for the Sittingbourne & Kemsley with 255 photo's . ​A new 3rd page added for Ghent / Gent trams with 67 photo's . ​A new page added for STICHTING INDUSTRIEL SMALSPUR ERICA with 498 photo's. ​A new page added for the KLIENBAHN MUHLENSTROTH GUTERSLOH steam gala with 397 photo's. ​A new page added for Bielefeld trams , Germany with 150 photo's. ​A new page added for Harz day 1 Eisfelder talmuhle to Drei Annen Hohne with 143 photo's . A new page added for Harz day 2 NORDHAUSEN to QUEDLINBURG with 340 photo's . A new page added for Harz day 3 Wernigerode to Brocken with 268 photo's. A new page added for Erlebniswelt Rabensteiner Stollen with 50 photo's. A new page added for the NORDHAUSEN TRAMS with 39 photo's . A new page added for the Mainz trams , Germany with 261 photo's . A new page added for Hofgut Serrig feldbahn with 51 photo's . A new page added for Vulkan express Brohltelbahn with 235 photo's . ​A new page added for Drachenfelsbahn Konigswinter with 157 photo's . A new page added for Minieresbunn Fond Des Gras Luxembourg with 63 photo's. A new page added for the Musee des tramways et de bus de la ville de Luxembourg with 60 photo's . ​A new page for Eisengarten feldbahn in Mittelhof [ closed ]with 17 photo's. A new page added for the Besucherbergwerk Grube Bindweide with 94 photo's. A new page added for the WUPPERTAL SCHWEBEBAHN with 241 photo's. A new page added for Muttenthalbahn & zeche Nachtigall industriemuseum with 193 photo's . ​A new page added for the BERGISCHE MUSEUMBAHNEN with 13 pictures . A new page added for Essen trams with 83 photo's . ​A new page added for Kleinbahn KOELN Germany with 76 photo's . A new page added for Bogestra , the Bochum tramway system with 64 photo's. ​A new page added for Oberhausen trams , Germany , with 16 photo's . A new page added for the Feldbahnmuseum Guldental with 7 photo's . ​A new page added for Echills Wood 2018 with 47 photo's . 17 photo's added to the misc ng page . ​​36 photo's added to the Eisenbahn museum Bochum Germany page . 23 photo's added to the Leemspoor page . 22 photo's added to the Antwerp tramways page . ​59 photo's added to De Kusttram 2014/2018 page . A new page added for the Abbeydale miniature rly , Sheffield with108 photo's . A new page added for the Apedale 6 "Tracks to the trenches " 2018 event with 138 photo's . A new page added for Miniature railways 2 with 45 photo's. ​155 photo's added to the Evesham Vale light rly page , 2018 gala . A new page added for the Ripon & District light rly with 131 photo's . A new page added for the 2018 visit to the Baie De Somme with 182 photo's . A new page added for the High Legh Rly " The Gathering " event with 93 photo's. 8 photo's added to the misc ng page . ​60 photo's added to the Golden Valley 2016/7/8 page . A new page added for the Rugby M.E.S. Model Engineers open day 2018 with 184 photo's . 38 photo's added to the Pit tubs & wagons page . 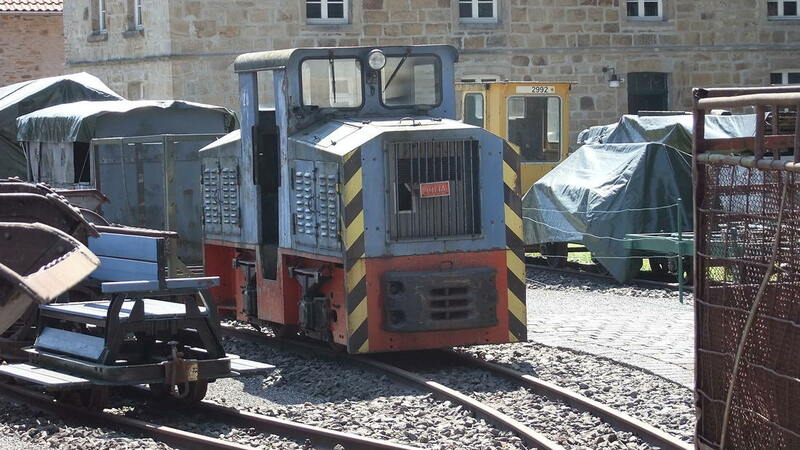 ​67 Photo's added to the Miniature rlys 1 page . ​65 photo's added to the Telford steam Railway & Phoenix M.E.S. page . 6 photo's added to the industrial systems past and present page . ​A new page added for the Telford steam Railway & Phoenix M.E.S. with 4 photo's . ​70 photo's added to the Pit tubs & wagons page . ​3 photo's added to the misc ng page . Even if we are not attending these events, I will try to keep the listing up to date with the events happening in 2019. I was born in 1962 and had a life long interest in railways , both real and model. I probably had my first "train " rides on the miniature railways at Ingoldmells , Skegness and Mablethorpe . Somewhere there is a early 1960's photo of myself sitting in the tender of the loco at Ingoldmells. Another railway close by, but never visited was at the Butlins Skegness site. 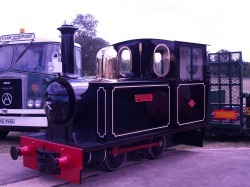 Other early small railways that I rode on would include the miniature Dormans Atlantic railway and the late Teddy Boston's narrow gauge, with locomotive "Pixie ", both of which were present at a lot of the local East Midlands area traction engine rallies that we visited. My first ride on a fixed narrow gauge system must have been the visits we made to Alton Towers in the 1960's, a long time before the now famous amusment park that it is today. Below is a link that i came across , which contains some excellent photo,s of the railway , which closed to passengers at the end of 1996. As far as i remember , i think my first real contact which sparked my interest in narrow gauge was the family holidays to Humberstone, near Cleethorpes. About 20 yards away from the caravan we used to stay in was the now sadly closed and moved Lincolnshire coast light railway [see L.C.L.R. page] and many rides were taken on this great little railway. Our Andrew was born in 2001 and was just 10 days old when he rode on his first steam train at the Buckinghamshire railway centre. As with most kids he has grown up watching Thomas the tank engine and playing with Thomas toys. He loves going to railways and his favorite is the Baie de Somme in France, which we try to visit most years, when possible. He is ever present on our railway trip's out, and has driven both battery electric and diesel locomotives. he has a number of 16mm scale loco's , including 3 live steam. We are both members of the Steeple Grange light railway, the association of 16mm narrow gauge modellers and the Butterley garden railway association. I am also a member of the Moseley railway trust. The photo shows Andrew [ then aged 6 ] riding on the Baie de Somme for the first time. Roger & Andrew , Nottinghamshire , England..
Pictured below with " Irish Mail ", is our 1960 Ford Popular 100e , fitted with a side valve engine and 3 speed gearbox. she was our regular transport for a lot of our day trips prior to mid 2013. Below that is our "new" motor , our 1964 Austin Cambridge A60 , which has now taken over and longer distance runs are now a little faster. If you click on the photographs below, they will take you to a photo page for the Pop or the Cambridge. The location of operating passenger carrying narrow gauge and miniature railways in the British Isles and Ireland with a gauge between and including 12" to 4' 6". Many thank's to Rik Bennett , for taking the time and the effort to produce the maps and for allowing me permission to use them on the website , for myself and others to use and enjoy.. In the second of Rik's maps he is trying to list all of the closed passenger carrying lines, with the routes of these former lines mapped out. Please click on either map to see a larger searchable map in a seperate page. Narrow gauge net , online magazine. Narrow Gauge Net aims to be the website of choice for the UK narrow gauge railway scene. Our free-to-download magazine is published at the beginning of every month, packed with all the latest news and event details. This is a fantastic site i came across and the info contained is brilliant ! You can use it to search for loco's by maker or 10 other searches including location,gauge and county. Use it to check out which locos are at the railway you plan to visit next. Quility built wagon's and coaches available ready to run at the right price. A number of different types are available , built to order. The E.V.L.R. 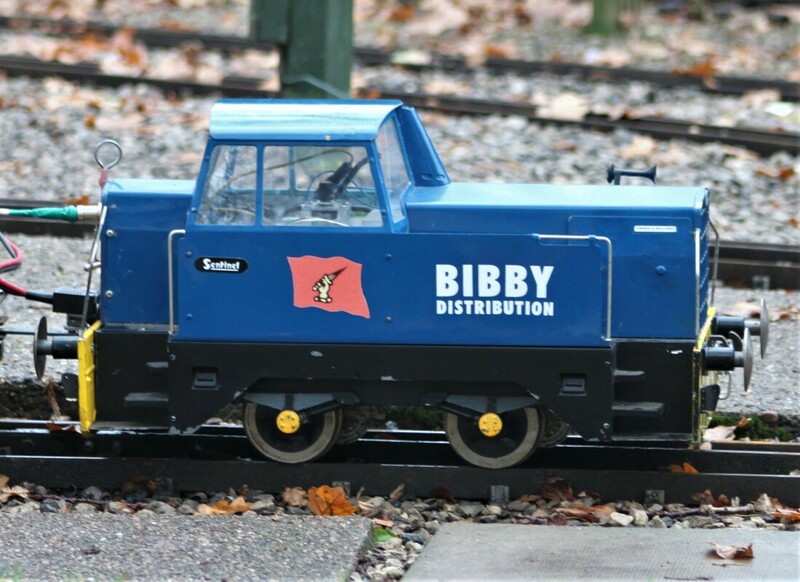 has 3 bogie pipe wagon's and a brakevan, and can really highly recommend the models and friendley service. Please contact Dale at dalega[ at ]tiscali.co.uk - insert @ for at. Below are some of the wagons sold to date . I am pleased to be able to link to the site of the scratchbuilder of the buildings that feature on Timber Creek and will feature on the future Golden Valley railroad. Bill Bramley makes ON30 Scratch built buildings, also known as 7mm scale or O gauge. These buildings are hand made by Bill and consist of wood, hardboard, mdf and various thickness cardboard. Lights may also be incorperated, these being cold running Led's run off a seperate 12v regulated dc supply, suitable resistors are fitted as standard.Buildings are painted as required and weathered to give a more natural look. Timber Creek is an ON30 ongoing layout being built by Ray Dolman on which all the buildings and tree's are scratch built. The original idea was for a working diorama and the On30 gauge was first choice as Ray had already done the OO gauge and N gauge thing and like myself, had come across the great on30 Bachmann Locomotives. On Timber Creek the Shay's are DCC controlled and are fitted with simple three function decoders and a simple Bachmann EZ controller is used. please visit Rays Website using the link below.